Heading into summer* it's time for a few new pairs of pjs, as Lulu has grown out of last summer's pjs! Here's our pick of the new season pjs. 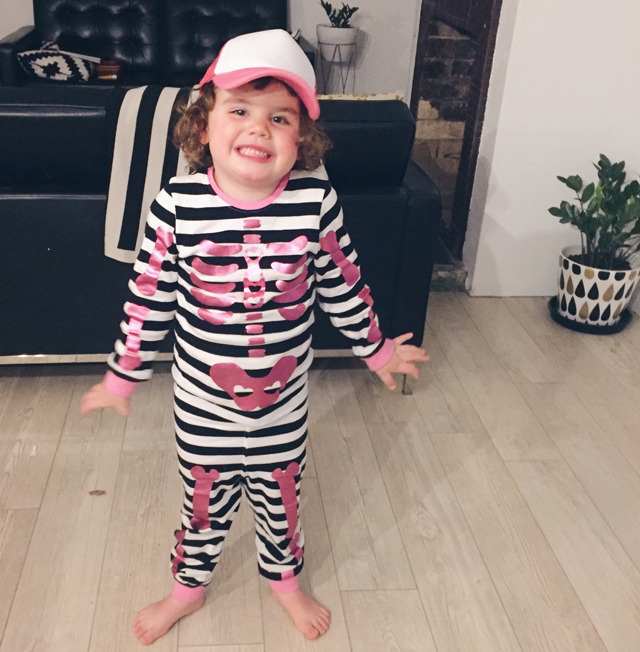 Our favourite has to be the pink skeleton pjs, as modelled below by the gorgeous Lulu. *well to be honest we maybe had a week of spring and are now IN full blown summer!